Which day of the month is best for new and used car shopping? 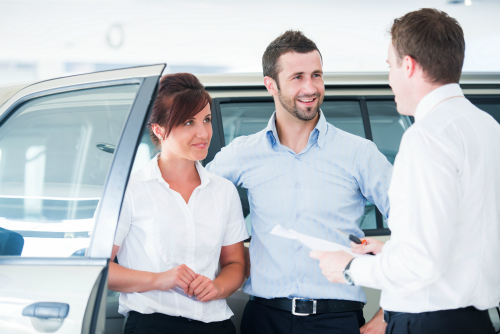 Home » FAQ » When am I most likely to get the best deal on my car purchase? A car purchase is likely one of the largest investments you will ever make. While many people end up having to purchase a new model quickly because of loss of reliable transportation, car shoppers who have more wiggle room in their timeline could score major deals by shopping at just the right time. Which day of the month is best for new and used car shopping? We discuss more below. While it’s occasionally true that car shoppers can score discounts towards the end of the month if a dealership is looking to meet a quota, there is room for error and some studies suggest car shoppers may pay more per vehicle at that time. Instead of timing your purchase around a specific time of the month, try to visit your dealership during slow sales hours or during large sales incentives. Shopping on a weekday vs a weekend is not likely to score you a ton of savings on the overall purchase price. However, it will allow you to have more one-on-one attention with the salesperson and finance team if you shop on a weekday with less foot traffic. It can help ensure that you end up with all of your questions answered and the best model for your needs. If you aren’t set on securing the latest and greatest, there are plenty of deals to be had on outgoing models just before and just after their incoming newer model year counterparts hit the lot. Dealers will be looking to make room for new inventory and may be highly motivated to sell down last year’s model. Not all new models are released around the same time of year so you may need to do some research about the specific model you are shopping for. Major savings usually go hand-in-hand with major holidays as dealerships regularly offer savings and incentives during the holiday season, especially during summer holidays like Fourth of July or Labor Day or end-of-year holidays like Christmas or New Years. It’s also a time when car dealerships are at their busiest. So, it’s always a good idea to narrow down just what you are looking for in advance so you can show up to the dealership on a holiday ready to pull the trigger on a sale. Looking for a used car? Find high-quality pre-owned models for a fair price at Coast to Coast Motors every day. Browse our online inventory pages to see which used models we have in stock now. This entry was posted on Wednesday, February 13th, 2019 at 7:31 pm	and is filed under FAQ. You can follow any responses to this entry through the RSS 2.0 feed. You can skip to the end and leave a response. Pinging is currently not allowed.